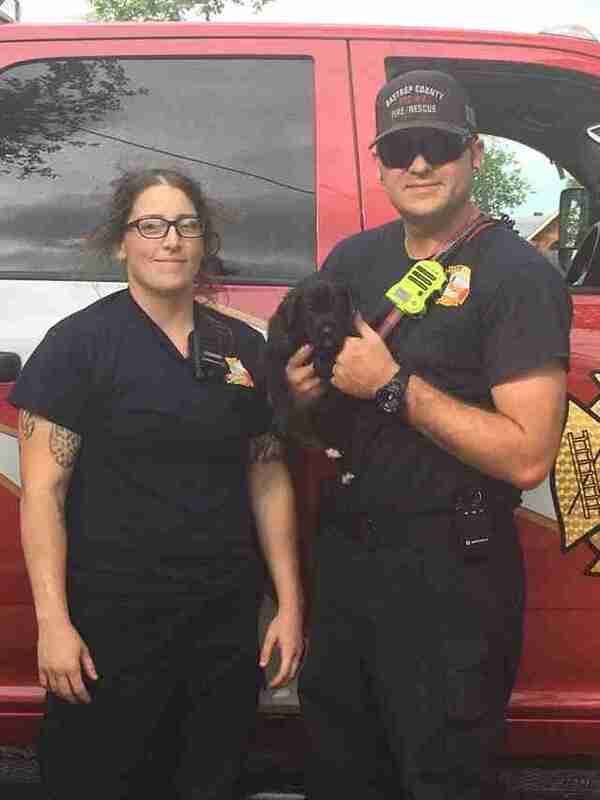 This puppy may be tiny — but the ruckus she caused last Friday in Bastrop County, Texas, is anything but. 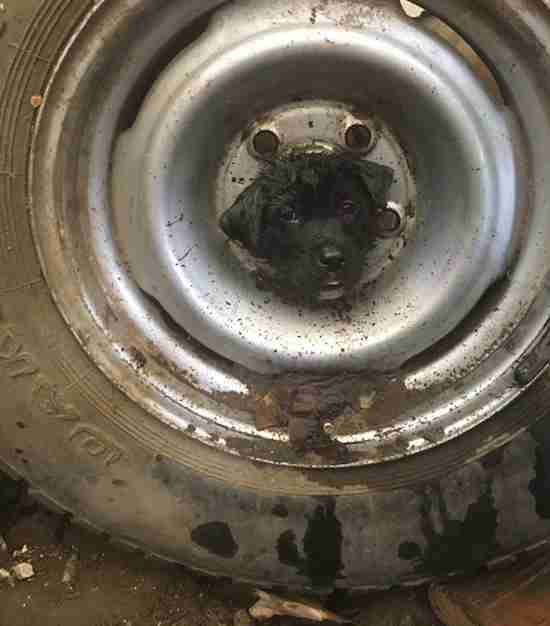 Jennifer Carroll, executive director of Wags, Hope and Healing, got a call from a local woman who was panicked because her puppy had stuck her head where it didn’t belong: inside an old tire. 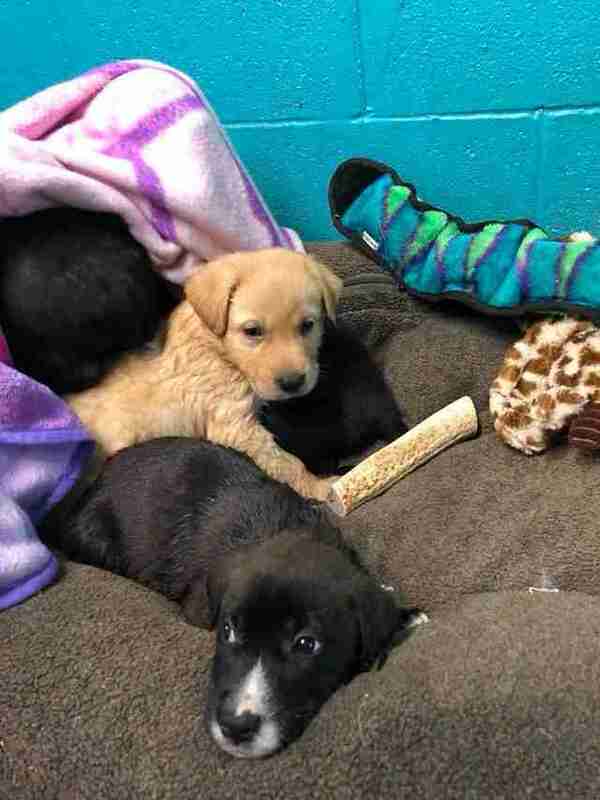 The puppy’s dog mom, a 5-year-old Lab named Foxy, knew her baby was in trouble. 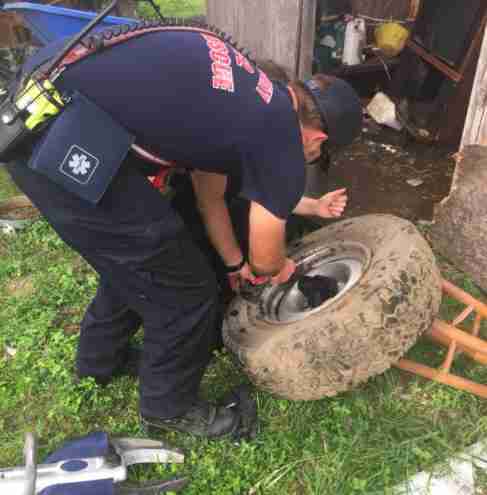 Bastrop County’s animal services and fire departments were both on the scene within minutes — but even a metal cutter and the Jaws of Life weren’t a match for the tire. After such a dramatic rescue, Foxy was so glad to see her daughter safe. 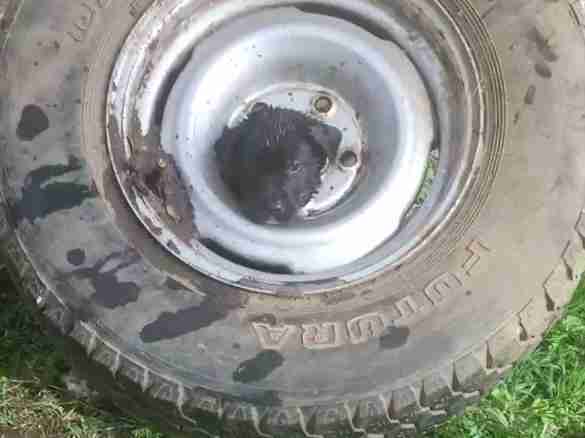 As rescuers held the pup toward her mom, she kept licking her. Since Foxy and her young pups were unspayed and unneutered, the rescue has coordinated to have all of the dogs go in for the surgeries, in addition to being microchipped. 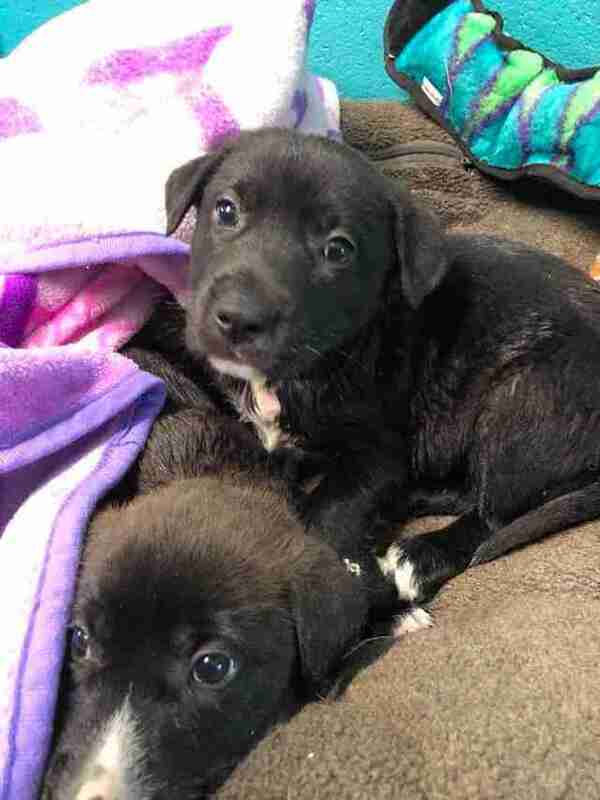 The puppies will be available for adoption through the rescue beginning this weekend, and, after being spayed, Foxy will return home to her human family. 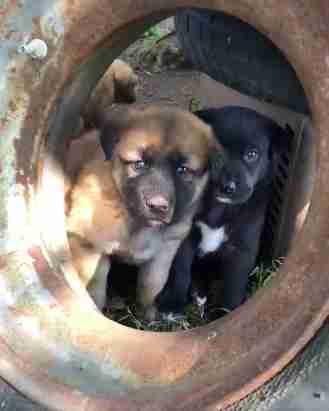 Playing off the curious pup’s misadventure, Carroll and the team have named all the puppies after tire brands, including Goodyear, Michelin and Dunlop. If you’re interested in adopting Goodyear or one of her siblings, you can visit the rescue’s website for more information. To support more adoption and spay/neuter programs in Texas, you can make a donation to Wags, Hope and Healing.